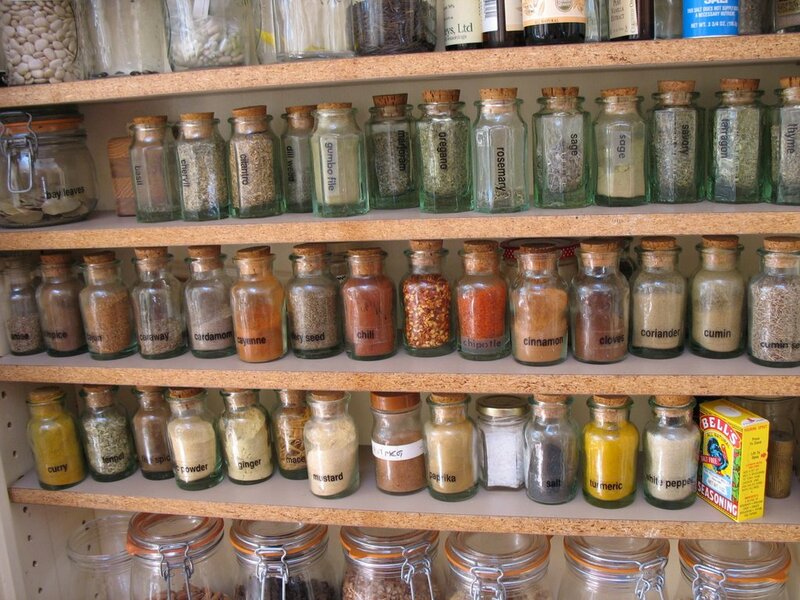 As recommended by a number of sources (primarily cooking magazines), I have completely refreshed my dried herb and spice supplies, which I've done over the course of a few weeks. Today I stopped in the bulk spice section to pick up some cumin, cloves, allspice, coriander, and cardamom — and my grocery bag smelled warm and delicious. It reminded me of the holidays, which are arriving a lot more quickly than I was expecting. 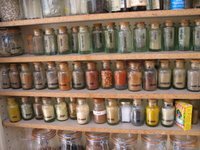 That, by the way, is not my spice cabinet, but the one at my friend Greacian's place. It would be more appropriate to call it a spice closet, since it stands taller than me. It is meticulously organized and includes just about every seasoning you could possibly ever need. I seriously covet it. My spice jars hang out in a cabinet above the sink, in no particular order, so that I have to rummage around a bit to find what I need. I used some of those spices today to make my first completely-from-scratch pumpkin pie, which is just about to go into the oven. Stay tuned for the full report.